Neoclassical economics refers to a general approach in economics focusing on the determination of prices, outputs, and income distributions in markets through supply and demand. These are mediated through a hypothesized maximization of income-constrained utility by individuals and of cost-constrained profits of firms employing available information and factors of production. Neoclassical economics, as its name implies, developed from the classical economics dominant in the eighteenth and nineteenth centuries. Its beginning can be traced to the Marginal revolution of the 1860s, which brought the concept of utility as the key factor in determining value in contrast to the classical view that the costs involved in production were value's determinant. Separating from the Austrian school of economics, the neoclassical approach became increasingly mathematical, focusing on perfect competition and equilibrium. Critiques of this approach involve its separation from the real world, both in terms of the time-frame for an economy to return to equilibrium through market forces, and in the "rational" behavior of the people and organizations that is assumed. Indeed, neoclassical economics has not been entirely successful in predicting the actual behavior of people, markets, and economies in the world so far, nor does it offer a view of a society that resonates with the ideals of a world in which people are able to express their uniquenesses as part of a society of peace, harmony, and prosperity. Despite much criticism, however, mainstream economics remains largely neoclassical in its assumptions, at least at the microeconomic level. Classical economics, developed in the eighteenth and nineteenth centuries, included a value theory and distribution theory. The value of a product was thought to depend on the costs involved in producing that product. The explanation of costs in Classical economics was simultaneously an explanation of distribution. A landlord received rent, workers received wages, and a capitalist tenant farmer received profits on their investment. 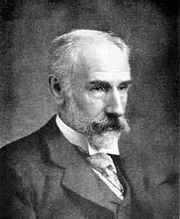 By the middle of the nineteenth century, English-speaking economists generally shared a perspective on value theory and distribution theory. The value of a bushel of corn, for example, was thought to depend on the costs involved in producing that bushel. The output or product of an economy was thought to be divided or distributed among the different social groups in accord with the costs borne by those groups in producing the output. This, roughly, was the "Classical Theory" developed by Adam Smith, David Ricardo, Thomas Robert Malthus, John Stuart Mill, and Karl Marx. But there were difficulties in this approach. Chief among them was that prices in the market did not necessarily reflect the "value" so defined, for people were often willing to pay more than an object was "worth." The classical "substance" theories of value, which took value to be a property inherent in an object, gradually gave way to a perspective in which value was associated with the relationship between the object and the person obtaining the object. Several economists in different places at about the same time (the 1870s and 1880s) began to base value on the relationship between costs of production and "subjective elements," later called "supply" and "demand." This came to be known as the Marginal revolution in economics, and the overarching theory that developed from these ideas came to be called neoclassical economics. The first to use the term "neoclassical economics" seems to have been the American economist Thorstein Veblen (1900). It was then used by George Stigler and John Hicks broadly to include the work of Carl Menger, William Stanley Jevons, and John Bates Clark. Menger, founder of the Austrian school of economics, is considered significant in the origin of neoclassical thought, with its focus on utilitarianism and value determined by the subjective views of individuals (not costs). Eugen von Böhm-Bawerk and Friedrich von Wieser, followers of Menger, can also be included to a lesser extent as neoclassical economists. Despite starting from the same point, Austrian economics became increasingly separated from neoclassical economics in both method and focus. In method, whereas mainstream neoclassical economics became increasingly mathematical Austrian economics proceeded non-mathematically, incorporating laws and institutions into its analysis. The neoclassicals focused on equilibrium while the Austrian school focused on the study of institutions, process, and disequilibrium. Also, whereas mainstream neoclassical economics focused on perfect competition as a reference point, Austrian economics did not. Austrian economics had a sense of the correct institutional structure but not of the correct price; correct price was whatever price the institutional structure produced. This difference manifested itself in Menger's lack of concern about mathematical formalism and Wieser's combining a theory of power with his theory of markets to arrive at a full theory of the economy. Today, the term neoclassical is generally used to refer to mainstream economics and the Chicago school. In the years immediately following Karl Marx's publication of Das Kapital, a revolution took place in economics. Marx's development of a theory of exploitation from the labor theory of value, which had been taken as fundamental by economists since John Locke, coincided with labor theory's abandonment. The new orthodoxy became the theory of marginal utility. Writing simultaneously and independently, a Frenchman (Leon Walras), an Austrian (Carl Menger), and an Englishman (William Stanley Jevons) wrote that instead of the value of goods or services reflecting the labor that produced them, value reflects the usefulness (utility) of the last purchase (before the "margin" at which people find things useful no longer). This meant that an equilibrium of people's preferences determined prices, including the price of labor, so there was no question of exploitation. In a competitive economy, said the marginalists, people get what they had paid, or worked, for. Carl Menger (1840-1921), an Austrian economist stated the basic principle of marginal utility in Grundsätze der Volkswirtschaftslehre (Menger 1871). Consumers act rationally by seeking to maximize satisfaction of all their preferences. People allocate their spending so that the last unit of a commodity bought creates no more than a last unit bought of something else. 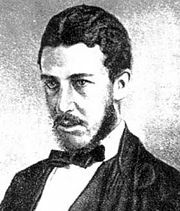 William Stanley Jevons (1835-1882) was his English counterpart. He emphasized in the Theory of Political Economy (1871) that at the margin, the satisfaction of goods and services decreases. An example of the theory of diminishing returns is that for every orange one eats, the less pleasure one gets from the last orange (until one stops eating). Then Leon Walras (1834-1910), again working independently, generalized marginal theory across the economy in Elements of Pure Economics (1874). Small changes in people's preferences, for instance shifting from beef to mushrooms, would lead to a mushroom price rise, and beef price fall. This stimulates producers to shift production, increasing mushrooming investment, which would increase market supply leading to a new lower mushroom price and a new price equilibrium between the products. Alfred Marshall wrote the main alternative textbook to John Stuart Mill of the day, Principles of Economics (1882). Alfred Marshall (1842-1924) was the first Professor of Economics at the University of Cambridge and his work, Principles of Economics (1890), coincided with the transition of the subject from "political economy" to his favored term, "economics." Coming after the marginal revolution, Marshall concentrated on reconciling the classical labor theory of value, which had concentrated on the supply side of the market, with the new marginalist theory that concentrated on the consumer demand side. Marshall's graphical representation is the famous supply and demand graph, the "Marshallian cross." He insisted it is the intersection of both supply and demand that produce an equilibrium of price in a competitive market. Over the long run, argued Marshall, the costs of production and the price of goods and services tend towards the lowest point consistent with continued production. Francis Ysidro Edgeworth (1845–1926) was an Irish polymath, a highly influential figure in the development of neo-classical economics, who contributed to the development of statistical theory. He was the first to apply certain formal mathematical techniques to individual decision making in economics. Edgeworth developed utility theory, introducing the indifference curve and the famous "Edgeworth box," which have become standards in economic theory. His "Edgeworth conjecture" states that the core of an economy shrinks to the set of competitive equilibria as the number of agents in the economy gets large. The high degree of originality demonstrated in his most work was matched only by the difficulty in reading his writings. Edgeworth was often regarded as “Marshall's man," referring to his support of Alfred Marshall. It was Edgeworth who greatly contributed toward the establishment of the Marshallian Neoclassical hegemony and the decline of any alternative approach. John Bates Clark (1847-1938) pioneered the marginalist revolution in the United States. Having studied in Germany, his ideas were different from those of the classical school and also the Institutional economics of Thorstein Veblen. Together with Richard T. Ely and Henry Carter Adams, Clark was cofounder of the organization that later became the American Economic Association. Clark sought to discover economic relationships, such as the relationship between distribution of income and production, which he argued would occur naturally in a market based on perfect competition. He believed that his "marginal productivity theory of income distribution" scientifically proved that market systems could generate a just distribution of income. If we were here undertaking to present at length the theory of value, we should lay great stress on the fact that value is a social phenomenon. Things sell, indeed, according to their final utilities; but it is their final utilities to society (Clark 1899). Alfred Marshall was still working on his last revisions of his Principles of Economics at the outbreak of the First World War (1914-1918). The new twentieth century's climate of optimism was soon violently dismembered in the trenches of the Western front, as the civilized world tore itself apart. For four years the production of Britain, Germany, and France was geared entirely towards the war economy's industry of death. In 1917, Russia crumbled into revolution led by Vladimir Lenin's Bolshevik party. They carried Marxist theory as their savior, and promised a broken country "peace, bread, and land" by collectivizing the means of production. Also in 1917, the United States of America entered the war on the side of France and Britain, President Woodrow Wilson carrying the slogan of "making the world safe for democracy." He devised a peace plan of Fourteen Points. In 1918, Germany launched a spring offensive which failed, and as the allies counter-attacked and more millions were slaughtered, Germany slid into revolution, its interim government suing for peace on the basis of Wilson's Fourteen Points. Europe lay in ruins, financially, physically, psychologically, and its future with the arrangements of the Versailles conference in 1919. …this long run is a misleading guide to current affairs. In the long run we are all dead. Economists set themselves too easy, too useless a task if in tempestuous seasons they can only tell us that when the storm is long past the ocean is flat again (Keynes 1923). During the Great Depression, Keynes published his most important work, The General Theory of Employment, Interest, and Money (1936). The depression had been sparked by the Wall Street Crash of 1929, leading to massive rises in unemployment in the United States, leading to debts being recalled from European borrowers, and an economic domino effect across the world. Orthodox economics called for a tightening of spending, until business confidence and profit levels could be restored. From this point, Keynesian economics began its ascension and the neoclassical approach faltered. The framework of neoclassical economics can be summarized as follows. Individuals make choices at the margin, where the marginal utility of a good or of a service is the utility of the specific use to which an agent would put a given increase in that good or service, or of the specific use that would be abandoned in response to a given decrease. This results in a theory of demand for goods, and supply of productive factors. Buyers attempt to maximize their gains from purchasing goods, and they do this by increasing their purchases of a good until what they gain from an extra unit is just balanced by what they have to give up to obtain it. In this way they maximize "utility"—the satisfaction associated with the consumption of goods and services. Individuals provide labor to firms that wish to employ them, by balancing the gains from offering the marginal unit of their services (the wage they would receive) with the disutility of labor itself—the loss of leisure. Similarly, producers attempt to produce units of a good so that the cost of producing the incremental or marginal unit is just balanced by the revenue it generates. In this way they maximize profits. Firms also hire employees up to the point that the cost of the additional hire is just balanced by the value of output that the additional employee would produce. Neoclassical economics conceptualizes the agents as rational actors. Agents were modeled as optimizers who were led to "better" outcomes. Neoclassical economists usually assume, in other words, that human beings make the choices that give them the best possible advantage, given the circumstances they face. Circumstances include the prices of resources, goods and services, limited income, limited technology for transforming resources into goods and services, and taxes, regulations, and similar objective limitations on the choices they may make (Weintraub 1993). The resulting equilibrium was "best" in the sense that any other allocation of goods and services would leave someone worse off. Thus, the social system in the neoclassical vision was free of unresolvable conflict. We understand that the allocation of resources is a social problem in any modern economy. Any modern economic system must somehow answer the questions posed by the allocation of resources. If we are further to understand the way in which people respond to this social problem, we have to make some assumptions about human behavior. …The assumption at the basis of the neoclassical approach is that people are rational and (more of less) self-interested. This should be understood as an instance of positive economics (about what is) not normative economics (about what ought to be). This distinction, positive versus normative economics, is important in itself and is a key to understanding many aspects of economics (Huberman and Hogg 1995). Agents, mentioned above, were like atoms; utility was like energy; utility maximization was like the minimization of potential energy, and so forth. In this way was the rhetoric of successful science linked to the neoclassical theory, and in this way economics became linked to science itself. Whether this linkage was planned by the early Marginalists, or rather was a feature of the public success of science itself, is less important than the implications of that linkage. For once neoclassical economics was associated with scientific economics, to challenge the neoclassical approach was to seem to challenge science and progress and modernity. These developments were accompanied by the introduction of new tools, such as indifference curves and the theory of ordinal utility which increased the level of mathematical sophistication of neoclassical economics. Paul Samuelson's Foundations of Economic Analysis (1947) contributed to this increase in formal rigor. Value is linked to unlimited desires and wants colliding with constraints, or scarcity. The tensions, the decision problems, are worked out in markets. Prices are the signals that tell households and firms whether their conflicting desires can be reconciled. EXAMPLE: At some price of cars, for example, a person wants to buy a new car. At that same price others may also want to buy cars. However, manufacturers may not want to produce as many cars as the buyers want. Buyers' frustration may lead them to "bid up" the price of cars, eliminating some potential buyers and encouraging some marginal producers. As the price changes, the imbalance between buy orders and sell orders is reduced. This is how optimization under constraint and market interdependence lead to an economic equilibrium. This is the neoclassical vision (Samuelson 1947). People have rational preferences among outcomes that can be identified and associated with a value. Individuals maximize utility and firms maximize profits. People act independently on the basis of full and relevant information. The value of neoclassical economics can be assessed by the fruits of its guidance. The understandings related to incentives—about prices and information, about the interrelatedness of decisions and the unintended consequences of choices—are all well developed in neoclassical theories, as is a self-consciousness about the use of evidence. The rules of theory development and assessment are clear in neoclassical economics, and that clarity is taken to be beneficial to the community of economists. EXAMPLE: In planning for future electricity needs in a state, for example, the Public Utilities Commission develops a (neoclassical) demand forecast, joins it to a (neoclassical) cost analysis of generation facilities of various sizes and types (such as an 800-megawatt low-sulfur coal plant), and develops a least-cost system growth plan and a (neoclassical) pricing strategy for implementing that plan. Those on all sides of the issues, from industry to municipalities, from electric companies to environmental groups, all speak the same language of demand elasticities and cost minimization, of marginal costs and rates of return. In this context, the scientific character of neoclassical economics is not its weakness but its strength (Samuelson 1947). Neoclassical economics has been criticized in several ways. As already mentioned, John Maynard Keynes argued that even if equilibrium would be restored eventually through market forces the time required for this to occur was too long. Others, such as Thorstein Veblen, said that the neoclassical view of the economic world is unrealistic. The "rational" consumer of the neoclassical economist is a working assumption that was meant to free economists from dependence on psychology. However, the assumption of rationality is often confused with real, purposive behavior. In fact, the consumer routinely makes decisions in undefined contexts. They muddle through, they adapt, they copy, they try what worked in the past, they gamble, they take uncalculated risks, they engage in costly altruistic activities, and regularly make unpredictable, even unexplainable, decisions (Sandven 1995). a lightning calculator of pleasures and pains, who oscillates like a homogeneous globule of desire of happiness under the impulse of stimuli that shift about the area, but leave him intact (Veblen 1898). Tversky and Kahneman (1979, 1986) in their "prospect theory," argued that people are not as calculating as economic models assume. Instead, people repeatedly make errors in judgment, and such errors can be predicted and categorized. Their 1979 paper in Econometrica is one of the most widely cited papers in economics. Thus, the rationality assumption, originating in classical economics and restated by the neoclassicals to maintain their distance from the Austrian school, fails to remove psychological factors from the equation. While mathematical analyses can indeed be carried out, as Tversky and Kahneman showed, these must include the forces that drive real people's decision-making behavior. Modern corporations do not even appear to be acting as if they equilibrate marginal cost-marginal revenue to maximize profits. Rather, they attempt to "beat the average." Consequently, success has less to do with the intuitively convincing textbook equality between marginal cost and marginal revenue, than with the capture of external contested income (Thompson 1997). out there … in which it is known that the economy is fairly shock-proof. We know from experience that prices usually do not explode to infinity or contract to zero (Negishi 1962). No matter how hard neoclassical economists try to drive away the world of complexity, it continues to confront them. Yet, to the frustration of "heterogeneous" antagonists the neoclassical paradigm remains dominant (Thompson 1997). Neoclassical economics, despite its incessant metamorphoses, is well defined in terms of the same three meta-axioms on which all neoclassical analyses have been founded since the second quarter of the nineteenth century. Moreover, its status within the social sciences, and its capacity to draw research funding and institutional prominence, is explained largely by its success in keeping these three meta-axioms well hidden. …it is to be explained in evolutionary terms, as the result of practices which reinforce the profession’s considerable success through diverting attention from the models’ axiomatic foundations to their technical complexity and diverse predictions (Varoufakis and Arnsperger 2006). President Richard Nixon, defending deficit spending against the conservative charge that it was "Keynesian," is reported to have replied, "We're all Keynesians now…" In fact, what he should have said is "We're all neoclassicals now, even the Keynesians," because what is taught to students, what is mainstream economics today, is neoclassical economics (Weintraub 1993). Clark, John B. 2005. The Distribution of Wealth. Adamant Media Corporation. ISBN 1402170084. Elster, J. 1982. Belief, bias and ideology. In Rationality and Relativism, Martin Hollis and Steven Lukes (eds. ), 123-148. The MIT Press. ISBN 0262580616. Hargreaves-Heap, S., and Yanis Varoufakis. 2004. Game Theory: A Critical Text. New York: Routledge. ISBN 0415250943. Huberman, B., and T. Hogg. 1995. Distributed Computation as an Economic System. Journal of Economic Perspectives 9(1): 141-152. Hume, D. A. 2007. Treatise of Human Nature. NuVision Press. ISBN 1595478590. Jevons, William Stanley. 2001. The Theory of Political Economy. Adamant Media Corporation. ISBN 0543746852. Keynes, John M.  2000. A Tract on Monetary Reform. Loughton, Essex, UK: Prometheus Books. ISBN 1573927937. Keynes, John M.  1965. The General Theory of Employment, Interest and Money. Orlando: Harcourt. ISBN 0156347113. Marshall, Alfred. 1997. Principles of Economics. Prometheus Books. ISBN 1573921408. Menger, Carl. 1994. Grundsätze der Volkswirtschaftslehre (Principles of Economics). Libertarian Press. ISBN 0910884277. Negishi, T. 1962. The Stability of a Competitive Economy: A Survey Article. Econometrica 30: 635-669. Samuelson, Paul A. 1983. Foundations of Economic Analysis. Harvard University Press. ISBN 0674313011. Sandven, T. Intentional Action and Pure Causality: A Critical Discussion of Some Central Conceptual Distinctions in the Work of Jon Elster. 1995. Philosophy of the Social Sciences 25(3): 286-317. Sonnenschein, H. 1973. Do Walras’ Identity and Continuity Characterize the Class of Community Excess Demand Functions? Journal of Economic Theory 6 (1973): 345-354. Sonnenschein, H. 1974. Market Excess Demand Functions. Econometrica 40: 549-563. Thompson, H. 1997. Ignorance and Ideological Hegemony: A Critique of Neoclassical Economics. Journal of Interdisciplinary Economics 8(4): 291-305. Tversky, A. and D. Kahneman. 1979. Prospect theory: An analysis of decisions under risk. Econometrica 47: 313-327. Tversky, A. and D. Kahneman. 1986. Rational choice and the framing of decision. Journal of Business. Varoufakis, Yanis, and Christian Arnsperger. 2006. What Is Neoclassical Economics? Post-autistic economics review 38 (1). Retrieved September 25, 2008. Veblen, T.  2007. Why Is Economics Not an Evolutionary Science? Reprinted in The Place of Science in Modern Civilization. New York: Cosimo Classics. ISBN 1602060886. Veblen, T. 1900. The Preconceptions of Economic Science - III. The Quarterly Journal of Economics 14. Walras, Leon. 1984. Elements of Pure Economics or the Theory of Social Wealth. Porcupine Press. ISBN 0879912537. Weintraub, E. Roy. 1991. Surveying dynamics. Journal of Post Keynesian Economics 13(4): 525-543. Weintraub, E. Roy. 1993. General Equilibrium Analysis: Studies in Appraisal. University of Michigan Press. ISBN 047208223X. This page was last modified on 25 May 2013, at 21:06.